The acclaimed biographer, with a thought-provoking exploration of how Abraham Lincoln's and John Quincy Adams' experiences with slavery and race shaped their differing viewpoints, provides both perceptive insights into these two great presidents and a revealing perspective on race relations in modern America. Lincoln, who in afterlife became mythologized as the Great Emancipator, was shaped by the values of the white America into which he was born. While he viewed slavery as a moral crime abhorrent to American principles, he disapproved of anti-slavery activists. Until the last year of his life, he advocated "voluntary deportation," concerned that free blacks in a white society would result in centuries of conflict. In 1861, he had reluctantly taken the nation to war to save it. While this devastating struggle would preserve the Union, it would also abolish slavery-creating the biracial democracy Lincoln feared. John Quincy Adams, forty years earlier, was convinced that only a civil war would end slavery and preserve the Union. An antislavery activist, he had concluded that a multiracial America was inevitable. Lincoln and the Abolitionists , a frank look at Lincoln, "warts and all," provides an in-depth look at how these two presidents came to see the issues of slavery and race, and how that understanding shaped their perspectives. In a far-reaching historical narrative, Fred Kaplan offers a nuanced appreciation of both these great men and the events that have characterized race relations in America for more than a century-a legacy that continues to haunt us all. The book has a colorful supporting cast from the relatively obscure Dorcas Allen, Moses Parsons, Violet Parsons, Theophilus Parsons, Phoebe Adams, John King, Charles Fenton Mercer, Phillip Doddridge, David Walker, Usher F. Linder, and H. Ford Douglas to Elijah Lovejoy, Francis Scott Key, William Channing, Wendell Phillips, and Rufus King. The cast includes Hannibal Hamlin, Lincoln's first vice president, and James Buchanan and Andrew Johnson, the two presidents on either side of Lincoln. And it includes Abigail Adams, John Adams, Henry Clay, Stephen A. Douglas, and Frederick Douglass, who hold honored places in the American historical memory. 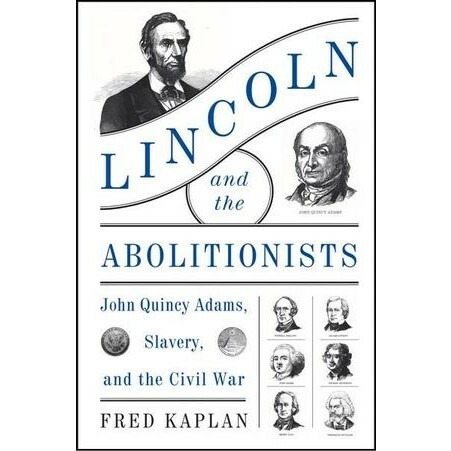 The subject of this book is slavery and racism, the paradox of Lincoln, our greatest president, as an antislavery moralist who believed in an exclusively white America; and Adams, our most brilliant statesman, as an antislavery activist who had no doubt that the United States would become a multiracial nation. It is as much about the present as the past.